A regular Gemini 2 license can activate the application on one Mac only. 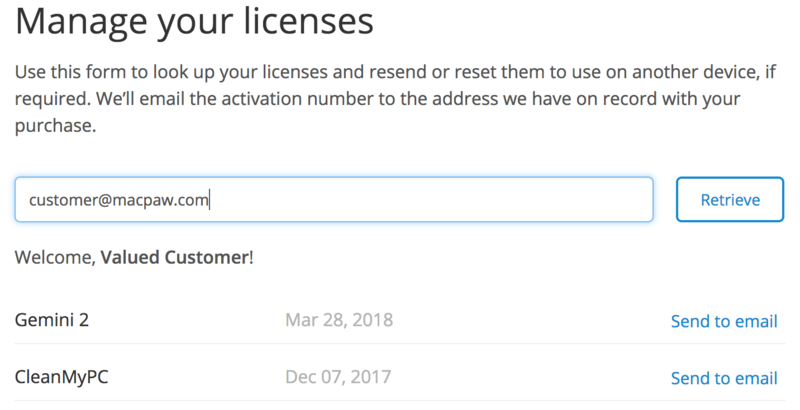 So, if you moved to a new computer, you must cancel your current Gemini 2 activation or purchase one more license. You can reset your license either with our automatic License Retrieval system or manually, in the activated app. Go to the License Retrieval page. Enter your activation number, activation ID, or email that you used to purchase the license and click Retrieve. You’ll see a list of all licenses registered under this email. Select the appropriate license and click “Send to email” next to it. Now, an email with the activation number is on its way to you. To deactivate your license, just scroll down the email and click the Reset License button. Done! Use this license on a new Mac. Open the activated version of Gemini 2. 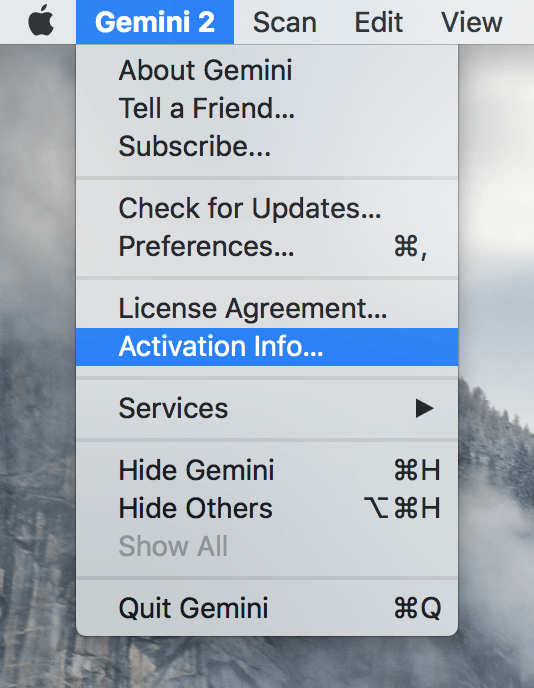 Click on Gemini 2 in the menu bar and choose the Activation Info option. Click Deactivate License in the Activation Info dialog. Click Disable License in the confirmation dialog that appears. Your license is reset, and you can use the activation number again. Please contact our Customer Support for assistance.